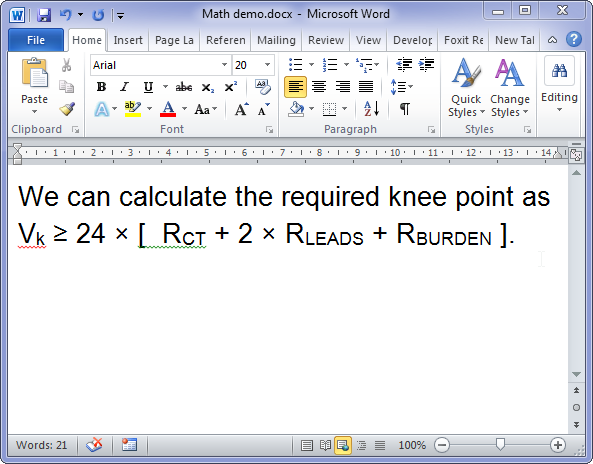 Typing math symbols into Word can be tedious. Thankfully, there is a faster way. The default way of doing it is to use the Insert > Symbols > More Symbols dialog, where you can hunt for the symbol you want. Finding the actual symbol you want takes a lot of paging through the character map, which is not fun. 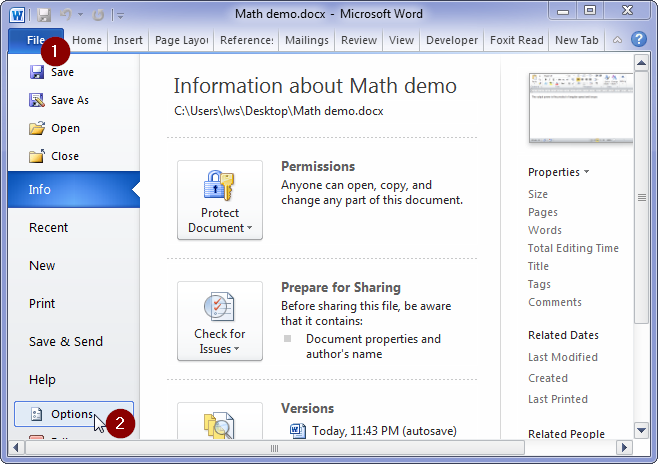 It’s easier if you’re in Word’s equation editor / math mode (Alt + = enters math mode), where you can just type symbol names like \omega and \times. LaTeX users are already familiar with this method, and the syntax is similar. 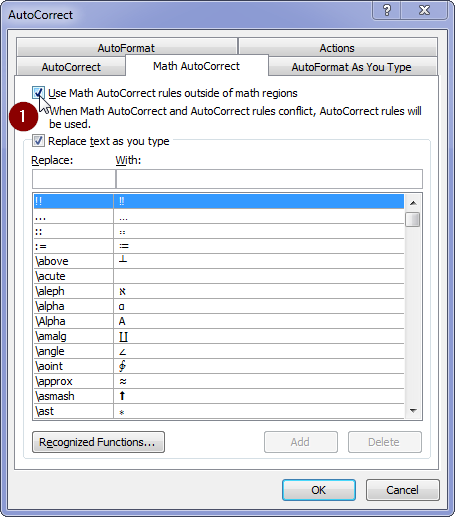 The advantage of this method, versus the full-blown equation editor, is that the symbols and equations typed this way are no different to ordinary text. This means they can be copied and pasted into other applications, including Excel, PowerPoint, internet pages, and humble text editors, without loss of fidelity. 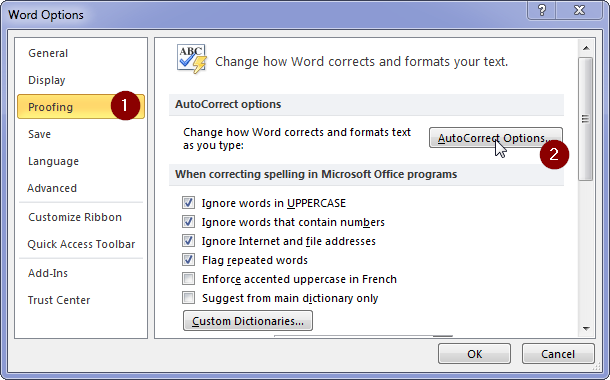 In contrast, copy pasting Equation Editor equations into other applications like Excel or PowerPoint doesn’t work. I have also had strange interactions between Track Changes and the Equation Editor, so I avoid the Equation Editor where possible. It’s also useful to know that Ctrl + = toggles subscript mode (Pmax), and Ctrl + Shift + = toggles superscript mode (x2 = y2 + z2). This can be used to type equations like the below. © 2009-2017 Li-aung Yip; all rights reserved.